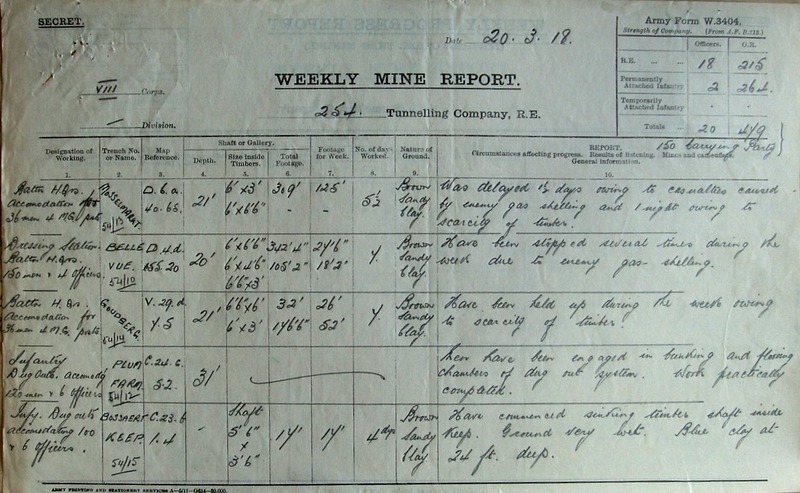 Have just come across the fascinating Weekly Mine Report here from a Google search, having referenced a blank copy in ‘Military Mining’. Are these reports accessible from the National Archive or RE Museum and wonder if these reports are available for all Tunnelling Companies? I’m particularly interested in 251 TC for late 1915 and 1916, as I’m trying to gain more information about their activities than is available in their War Diary.